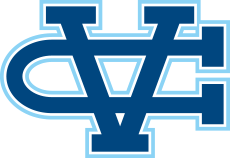 San Jose, CA- The Valley Christian Track & Field team opened the invitational portion of their season with a win at the Willow Glen Invitational. 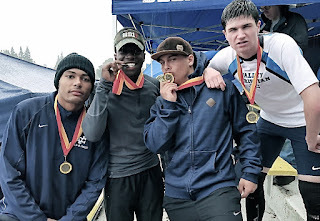 Impressively the team was competing in split squad action this weekend; the distance crew traveled north to compete in the Dan Gabor Distance Carnival, the sprints, throws and jump crews competed at the Willow Glen Invitational. It was a complete team effort for those competing in the South Bay, the boys won the team title bettering runner-up Willow Glen by 15 points. It was a strong showing for the second time in as many weeks for the boys 4 x 100 meter relay team. The team of Nick Trofort, Charlie Bostic III, Matt Weeks and Trent Laubach clocked a winning time of 44.51 setting the tone for a the rest of the meet as multiple Warriors earned podium positions on the day. The field events were once again a strong point for the Warriors. Max Moore had a huge day getting his first invitational win and personal best in the discus. His mark of 140-0 moves him to #3 all-time in team history. Top finishes also came from the boys high jump as Mitchell Rohr finished atop the standings with a mark of 5-6. Athiya Iese won the girls shot put with a personal best 39' 4.5" a mark currently ranked second in CCS. Generally rain, wet, slippery conditions are not ideal when throwing metal implements but despite a downpour Dylan McCreery gutted out a second place finish in the varsity boys shot put with a mark of 43' 5.5". Daniel Machado wins the frosh-soph shot put with a personal best 45-3. Despite tough conditions later in the day he also threw a 20 foot personal best in the discus to finish second with a mark of 118'. Matt Weeks finished second in the boys triple jump with a season best mark of 40-4. Weeks also scored in the High Jump and Long Jump. Three Warriors finish in the top nine in the varsity boys 100 meters: Nick Trofort, Trent Laubach and Charlie Bostic. Caitlyn Rowland led the girls sprints with a 4th place finish in the 200 meters with a time of 28.63.